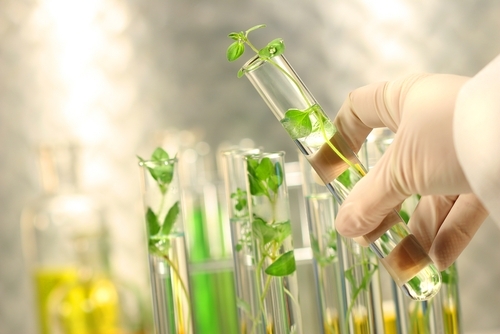 Azerbaijan will toughen its existing laws on the use of genetically modified products (GMOs). The State Committee for Standardization, Metrology, and Patents has decided to carry out measures to curb the illicit circulation food products made from genetically modified plants. The provision will contain a ban on the use of genetically modified plants in the production of food products. Moreover changes are made to requirements on packaging and labeling that would ensure consumers of the lack of GMOs in food products. The Committee is also working to eliminate interstate standards adopted by the Interstate Council for Standardization, Metrology, and Certification of the CIS that acts as a normative document on standardization in Azerbaijan, but contrary to the law. The civil service that monitors technical regulation and standardization under the committee was tasked to direct data collected during inspections from law enforcement agencies, revealing their non-compliance with the law. Moreover, in April, Azerbaijan decided to enforce criminal liability for the use of GMOs. Azerbaijani legislation bans the import and distribution of genetically modified plants and their inclusion in the state register. Azerbaijan joined the Cartagena Protocol in 2005 and has a commitment to prevent the spread of GMOs and their use for commercial purposes. In 2011, the country approved a law on the protection and effective use of genetic resources to protect its population's health and the country's biodiversity. Despite these provisions, experts believe that GMO products are widely used in Azerbaijan. Summer is the time when all of Azerbaijan enjoys multiple varieties of fruits and vegetables, domestic produce, and imports from around the world. The country enjoys nine of 11 climatic zones, which gives it the opportunity to produce a diverse array of fruits and vegetables around the year. Azerbaijan mostly imports exotic fruits. The favorite fruit of the summer for Azerbaijanis is watermelon. Around 95 percent of watermelons, 95 percent of tomatoes, and 40 percent of potatoes are genetically modified in Azerbaijan, according to the head of the Azerbaijani Free Consumers Union, Eyyub Huseynov. About 98 percent of the soya beans, which are widely used in the food and cosmetic industries are believed to contain GMOs as well. However, there has been no official confirmation. Samples taken from a number of plants across Azerbaijan have showed no genetic changes.